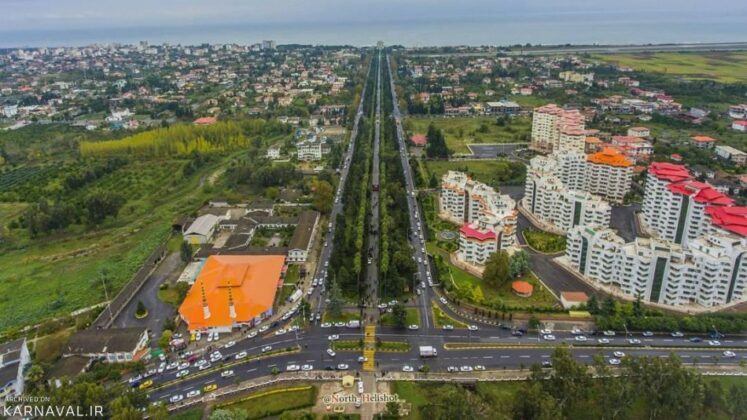 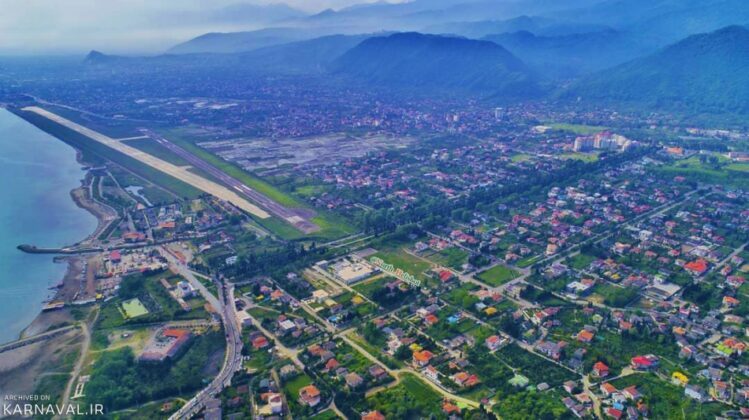 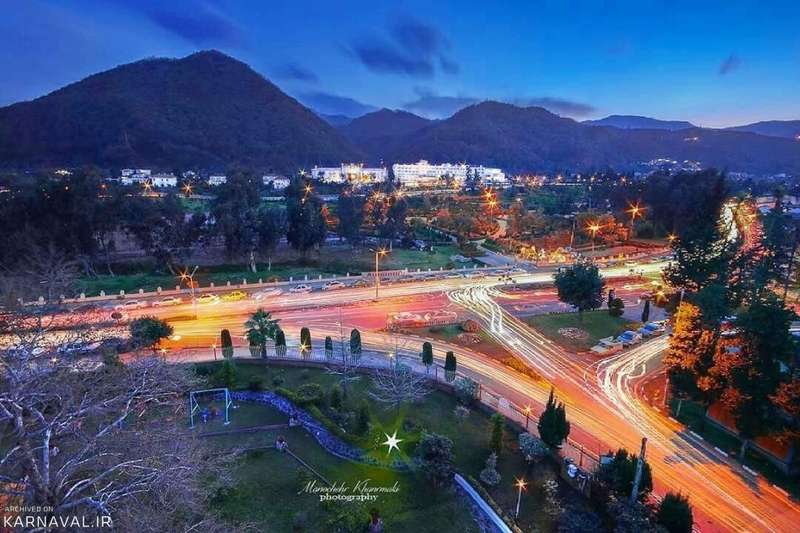 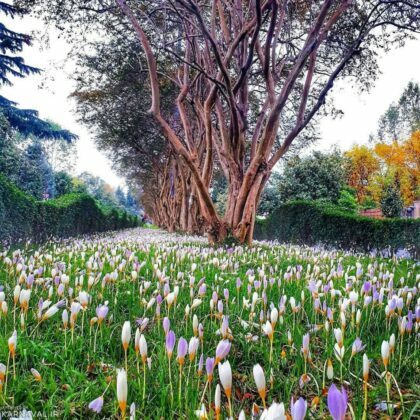 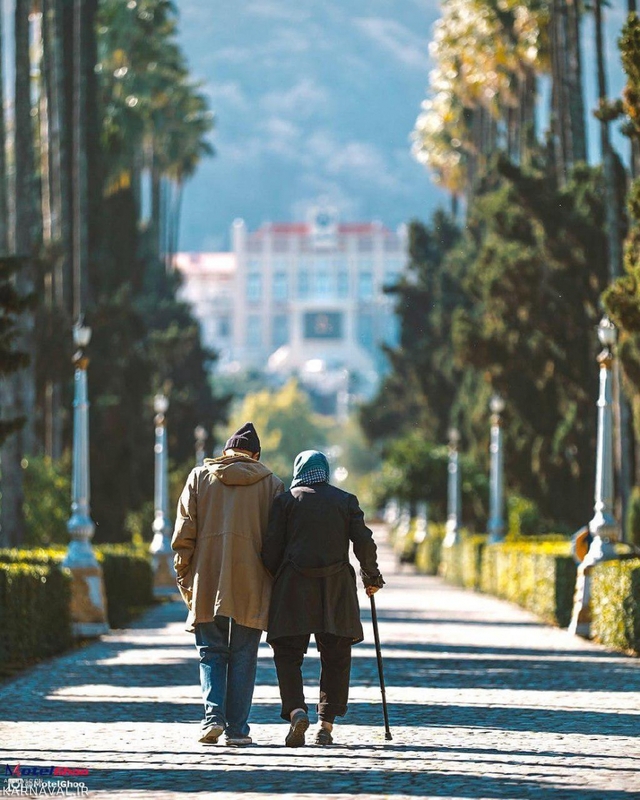 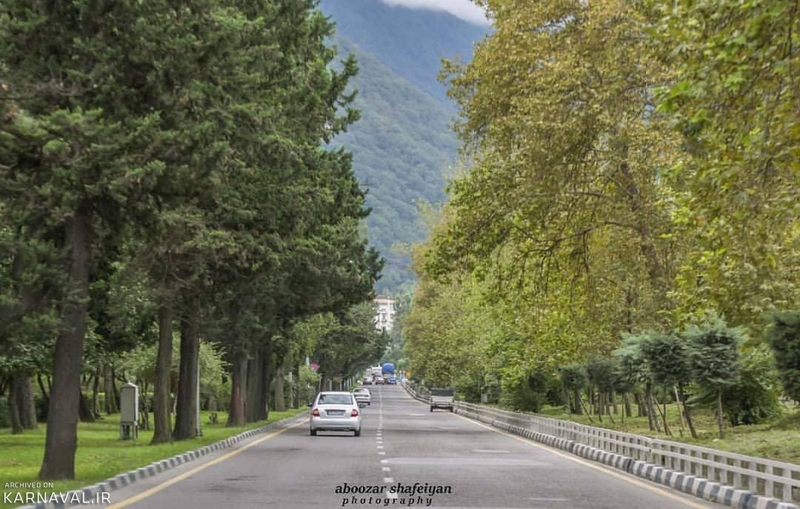 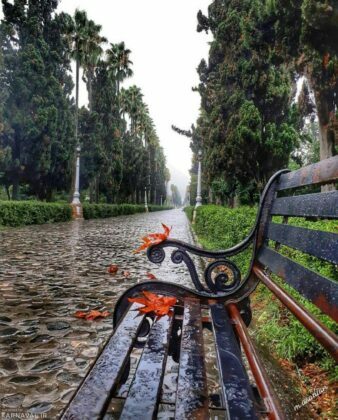 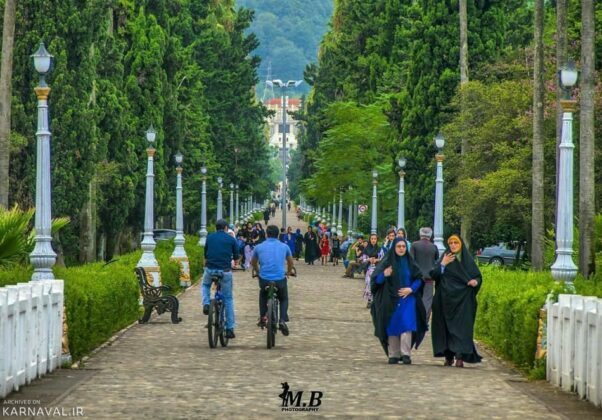 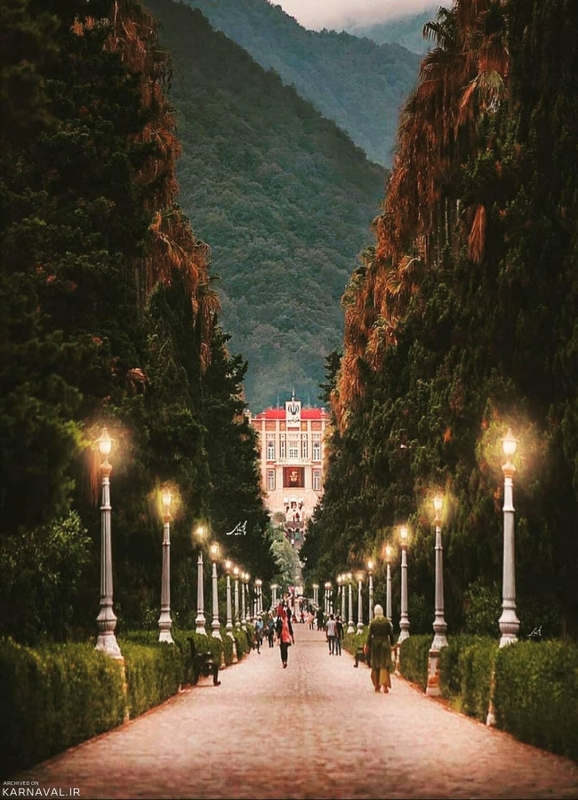 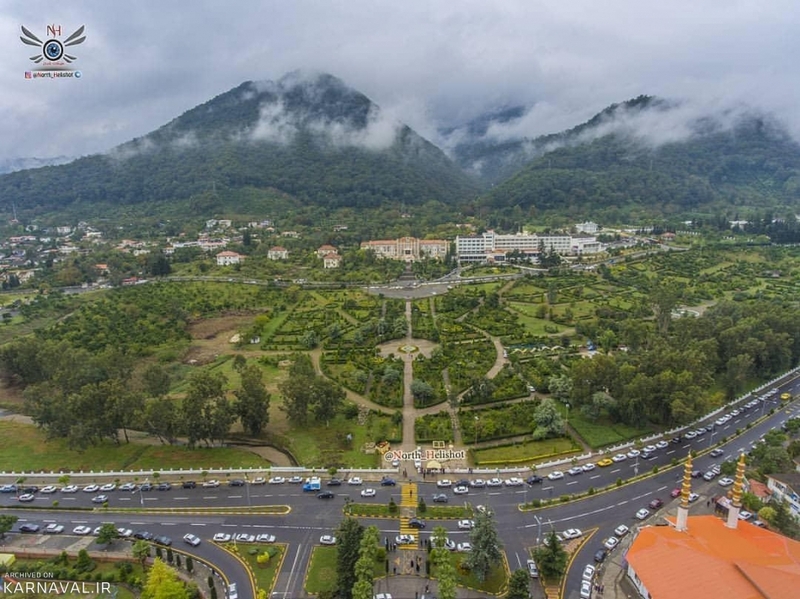 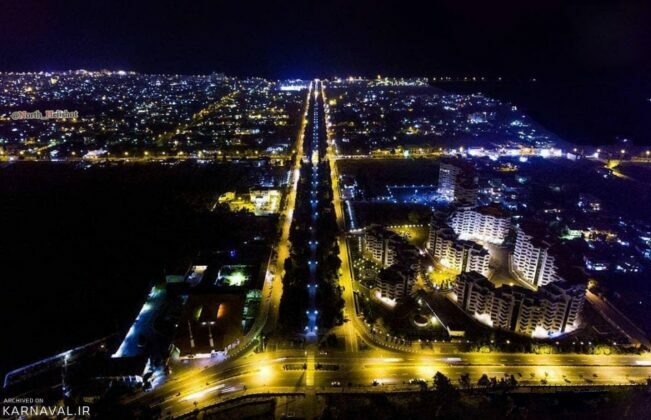 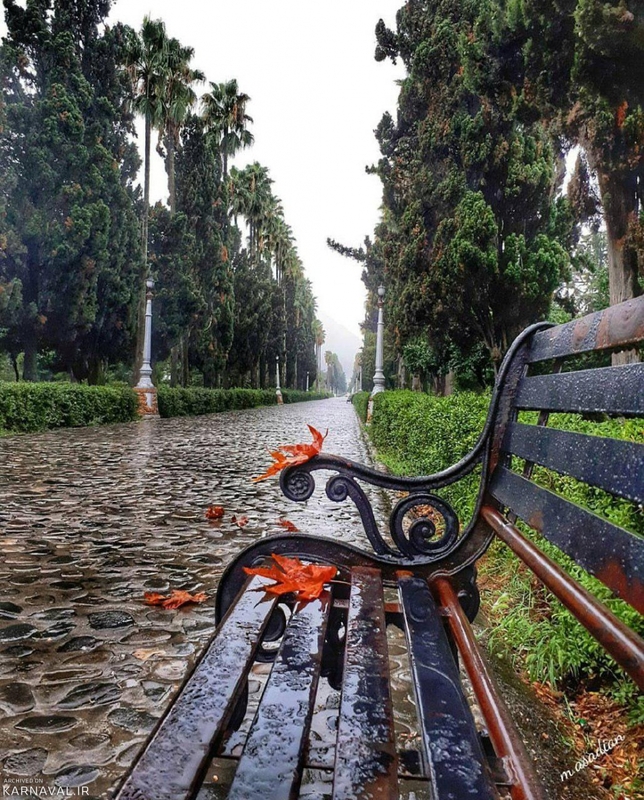 Ramsar or Moallem Boulevard, a symbol of the city of Ramsar in Mazandaran province, is one of the most beautiful roads in northern Iran, which links the sea, mountain and forest together. 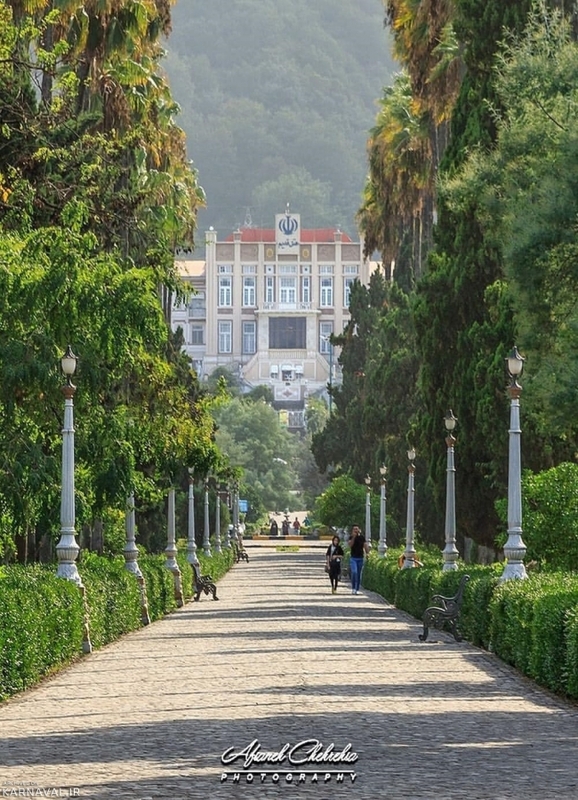 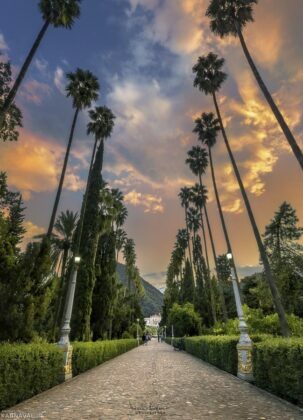 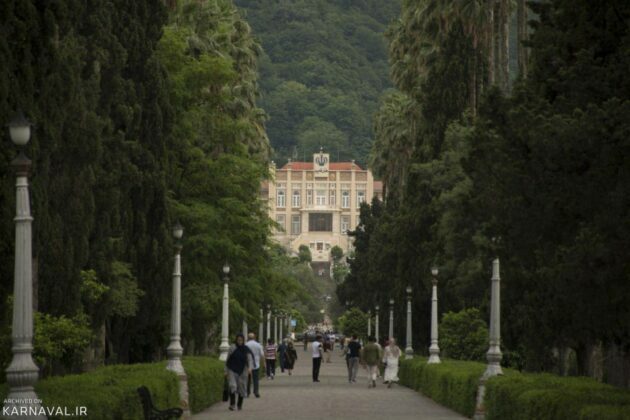 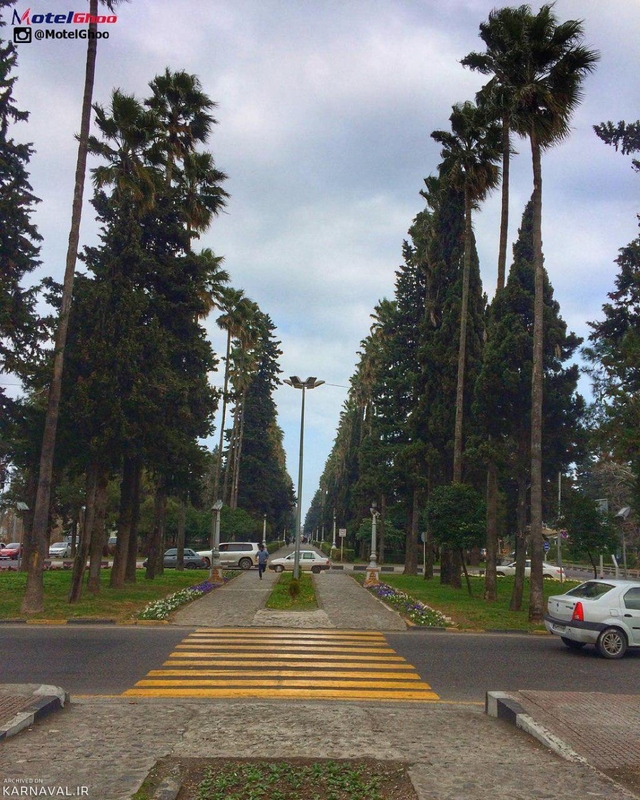 The construction of the boulevard dates back to the first Pahlavi era. 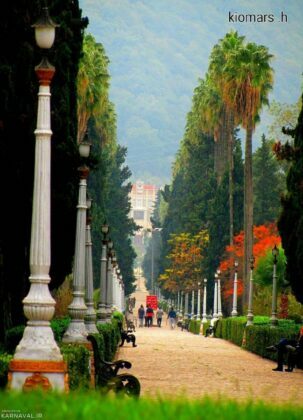 With a quite unique design, the boulevard is one of the few streets registered in the list of national heritage of Iran. 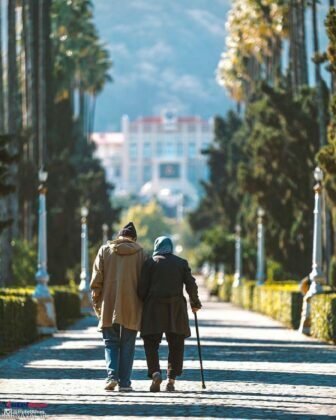 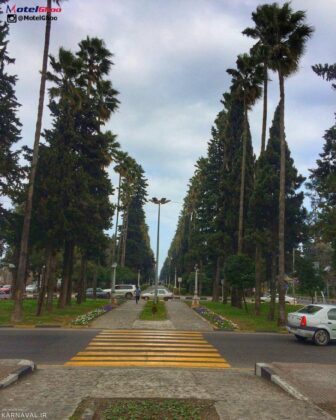 The boulevard is a 2-kilometre path that reaches the Caspian Sea. 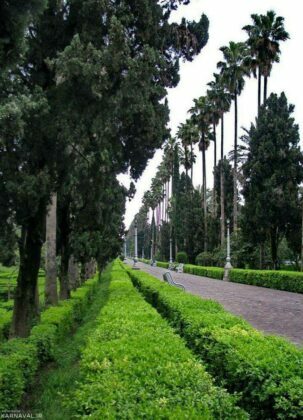 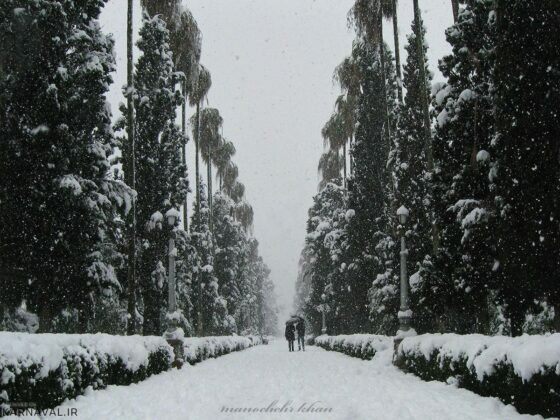 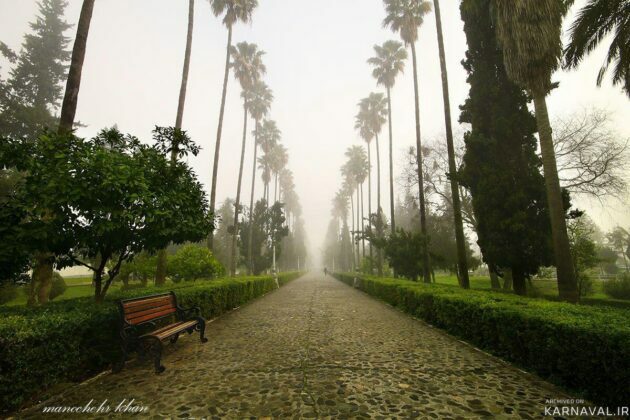 On both sides of the pathway, one can see the one-way streets of Moallem (Teacher) Boulevard which are surrounded by palm and alder trees and boxwoods. It is one of the most popular car ride paths in Ramsar. Excursion on Moallem Boulevard, however, does not end when the paved road reaches its end. At the end of the boulevard, there is an old blue building, which in the old days was the location of the casino of the city, and today has turned into a traditional restaurant. 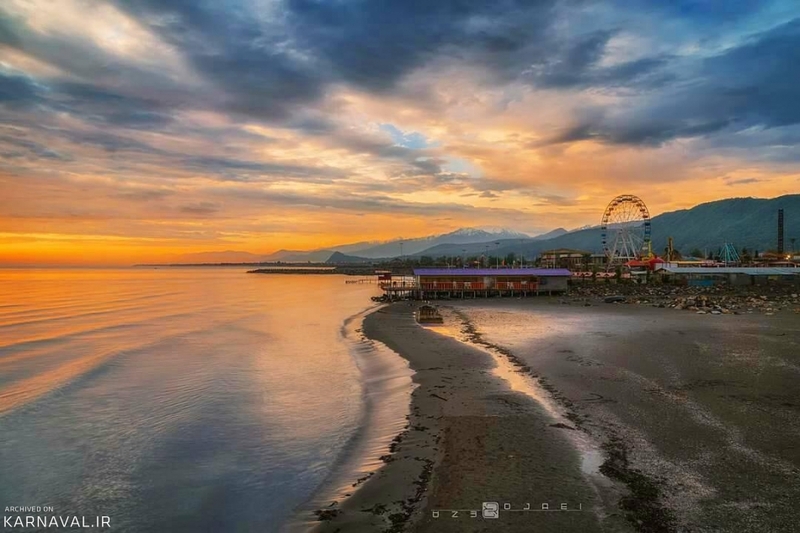 A little further away, there is the entrance to the beach and Touska funfair which ultimately leads us to the Caspian Sea. 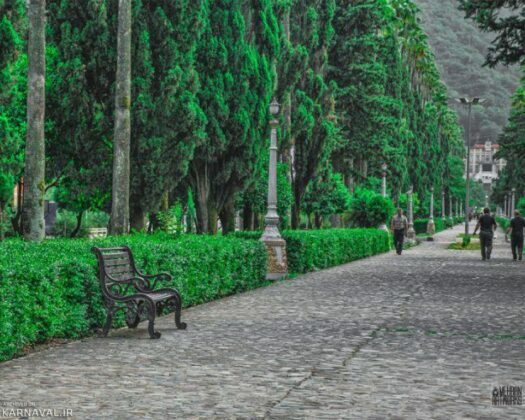 The playground, cafe, restaurant, and a local market for souvenirs and handicrafts have made the tour more fascinating along the route.